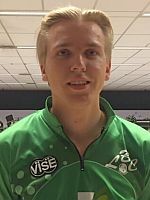 Arnar Davið Jónsson became the first bowler from Iceland in the 19-year-history of the European Bowling Tour to win an EBT title as he defeated one-time champion Carsten Warming Hansen in the title match of the Odense International at Odense Bowling Center in Denmark Sunday. Jónsson (featured photo and right), who led the 111-player field from nine countries in qualifying with an average of 222.83, held onto the lead in Round One and made the cut to the top 8 in fourth place. Those eight determined the champion in four single-game match play rounds. In each round, the highest seeded player selected his opponent, then the second-highest seeded player, and so on. The four winners of the Round of 8 plus two “lucky losers” (the two highest scoring players of the four losers) advanced. 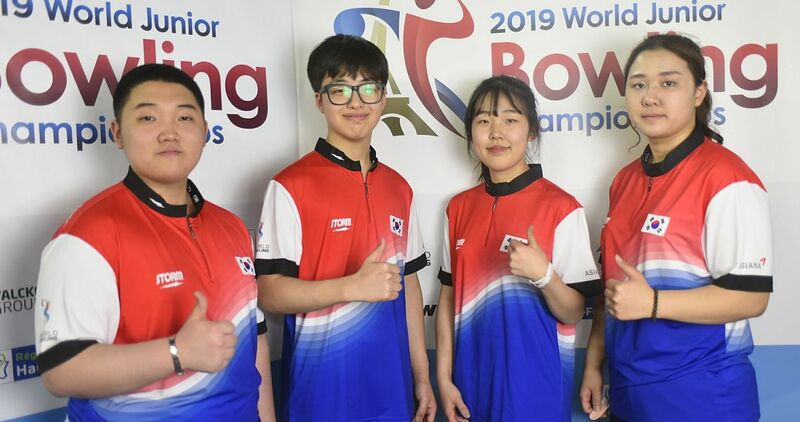 The three winners of the Round of 6 plus one lucky loser went to the semifinals and the winners of that round bowled for the title. 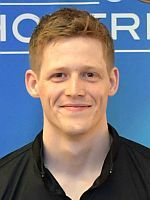 Jónsson averaged 233.50 over four games and won all four matches on his way to the title. 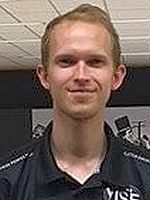 He is the sixth first-time winner this season after Bernice Lim, Singapore; Anthony Simonsen, United States; Jenny Wegner, Sweden; Gaëtan Mouveroux, France, and Jesper Agerbo, Denmark. 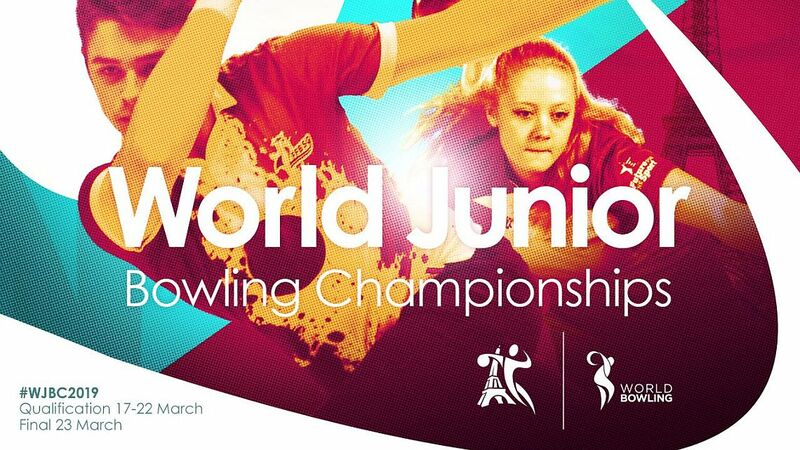 In the opening match, Jónsson defeated Christopher Sloan (left) of Ireland, 237-191. Sloan and Mai Ginge Jensen (right) of Denmark tied at 191 for the second lucky loser spot. 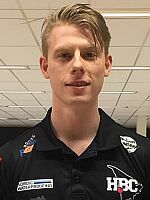 Hansen edged Patrik Jannik Sørensen, Denmark, 212-208. Sørensen was the best lucky loser and Jensen took the second spot after defeating Sloan in the second one-ball roll-off, 9-7, after an 8-8 tie. As the no. 2 seed, Hansen (left) picked Jónsson in the Round of 6 only to fall to the Islandic in a high-scoring match, 258-223. Hansen advanced as the lucky loser, while top-seeded Thomas Larsen (below right) of Denmark, who was looking for his sixth EBT title, and Jensen were sidelined. As the highest-seeded player in the semi-finals, Hansen, world champion in trios in 2014, picked no. 8 Sørensen and flew past the Danish youngster, 248-172. 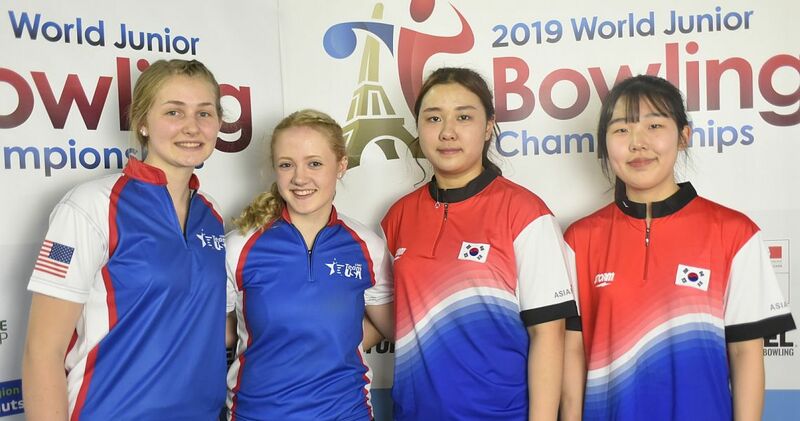 Hansen ousted 2018 World Youth Doubles champion Robert Lindberg of Sweden, 226-197. 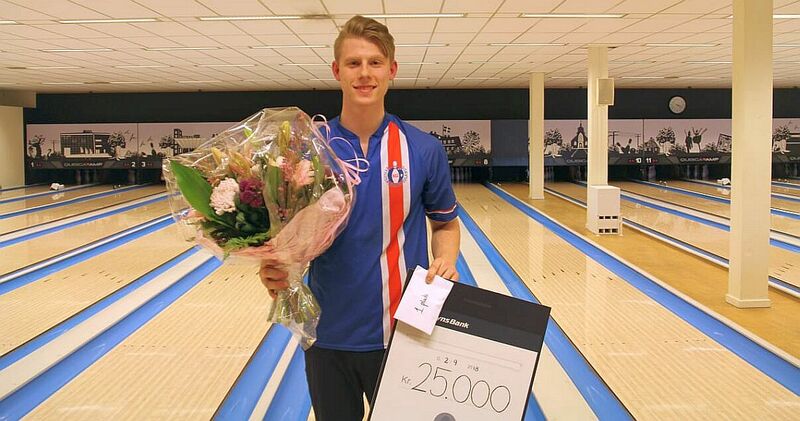 Jónsson then defeated Hansen for the second time to claim the title and the 25.000 DKK top prize, roughly 3.350 Euro. 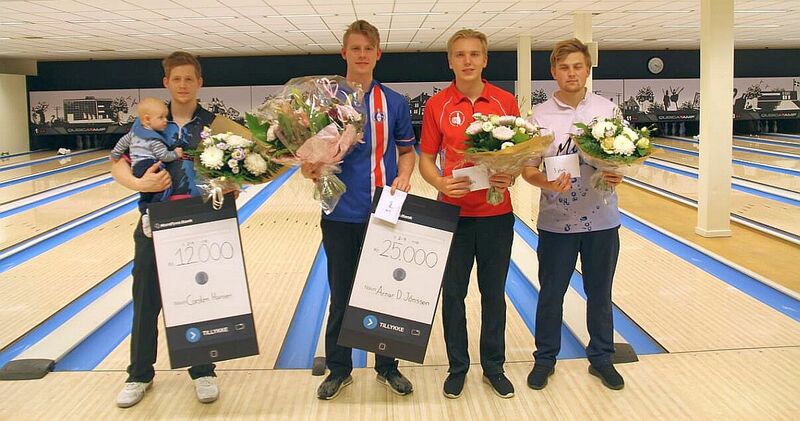 Hansen received 12.000 DKK for second place while Lindberg and Sørensen (left), who were ranked third and fourth, respectively, due to the higher seeding position after Round Two, got 6.000 DKK apiece. 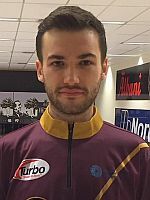 The Odense International 2018 was the ninth stop of the 2018 European Bowling Tour and the second of three EBT “Satellite” tournaments this season, the lowest of the five EBT categories (satellite, bronze, silver, gold and platinum). 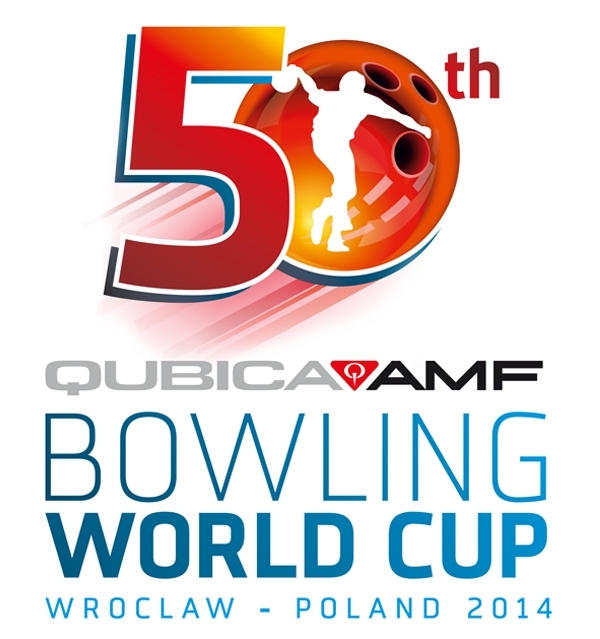 The tournament was contested from August 26 to September 2 at 20-lane Odense Bowling Center in Odense, Denmark. Players competed for total prize money of 120.000 Danish Kronor (DKK) or roughly 16.100 Euro with 25.000 DKK (3.350 Euro) going to the winner, 12.000 DKK to the runner-up and 6.000 apiece to the third and fourth place finishers. Low to cash was 36th place worth 1.800 DKK or 241 Euro. 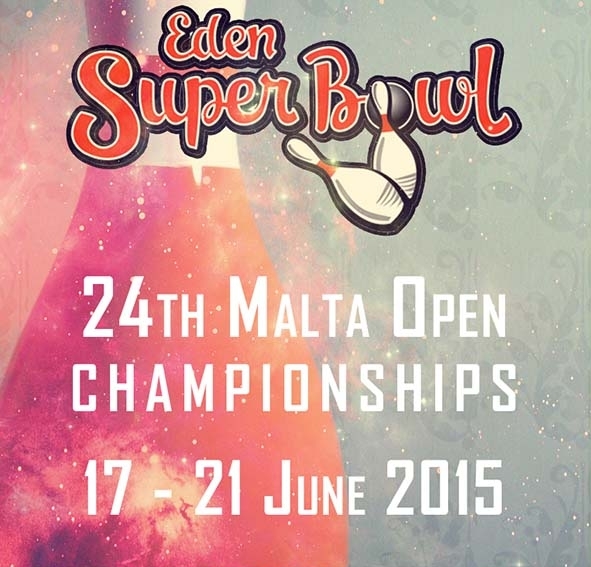 Qualifying (six games, unlimited re-entries) ran from Aug. 26 to Sept. 1. Women received 8 pins handicap each game, an equality handicap provided to women in all EBT events. Maximum score was 300. The Turbo 1 and 2 winners were the players with the highest score in the fifth (Turbo 1) and sixth (Turbo 2) game in any of the qualifying series (optional; extra entry fee required). 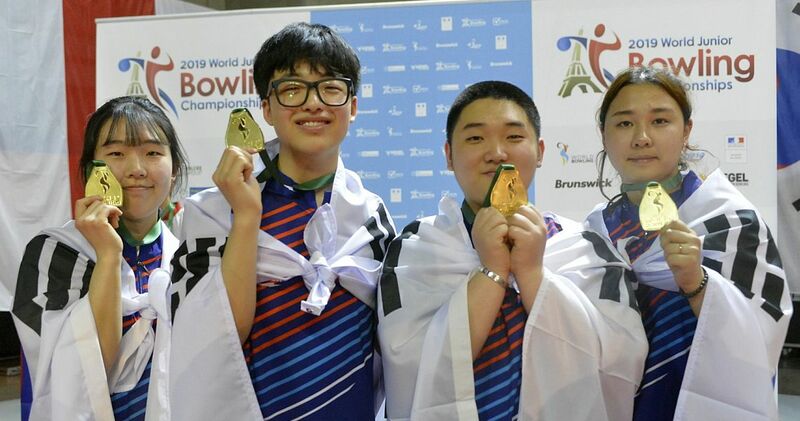 All 36 finalists bowled six games. 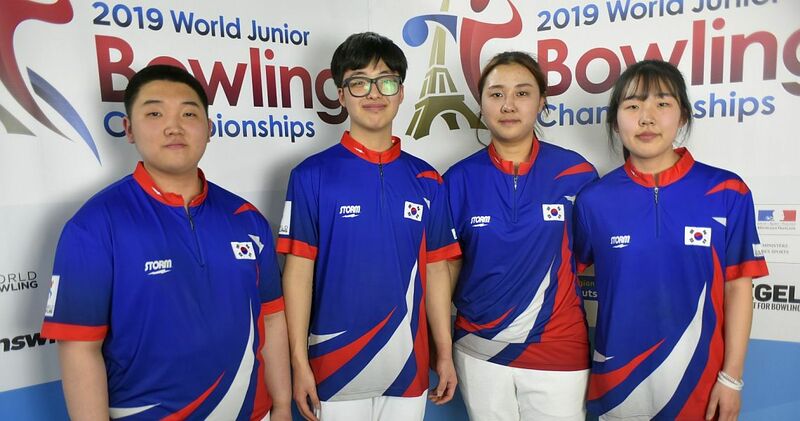 The top 16 with the highest six-game total including bonus pins and women’s handicap advanced to the second round with the total pinfall carried forward. 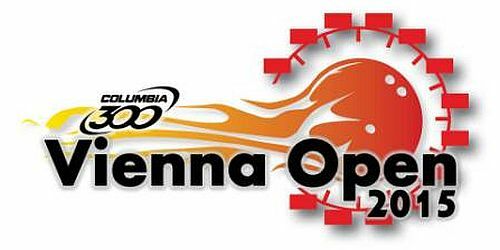 Those 16 bowled an additional four games to cut to the top 8 who were seeded 1-8 for the match play finals featuring one-game rounds. In each round, the highest seeded player selected his opponent, then the second-highest seeded player, and so on. The four winners of the Round of 8 plus two “lucky losers” (the two highest scoring players of the four losers) advanced. The three winners of the Round of 6 plus one lucky loser went to the semifinals. The winners of that round bowled for the title. 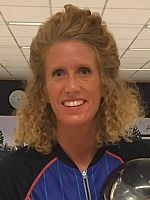 The 10th stop of the 2018 European Bowling Tour, the Storm Lucky Larsen Masters, a “platinum” event, already got underway August 25 and runs through September 9 at Baltiska Bowlinghallen in Malmö, Sweden. From left: Carsten Warming Hansen, Arnar Davið Jónsson, Patrik Jannik Sørensen and Robert Lindberg. Jensen’s score includes 8 pins handicap. Three winners and one “lucky loser” (Hansen) advance. Four winners and two “lucky losers” Sørensen, Jensen advance. In the second roll-off for the final lucky loser spot, Jensen def. Sloan, 9-7, after a 8-8 tie.